The timber clad buildings are hidden from view from the public realm and road infrastructure. 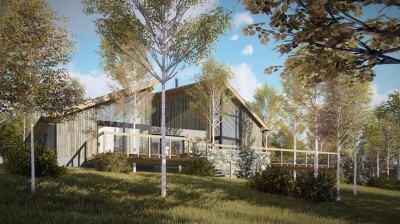 The site was specifically chosen by the applicant, to be private and integrate sensitively within the applicant’s 40 acre woodland. The footprint of the house sits in a natural clearing on the site to minimise disturbance in the woodland as much as possible.